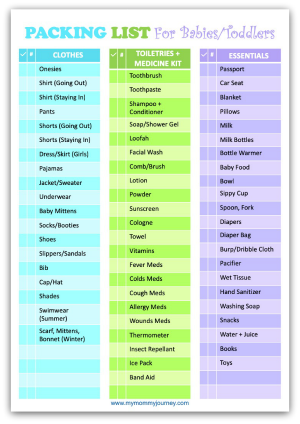 FREE Printable Packing List For The Whole Family! 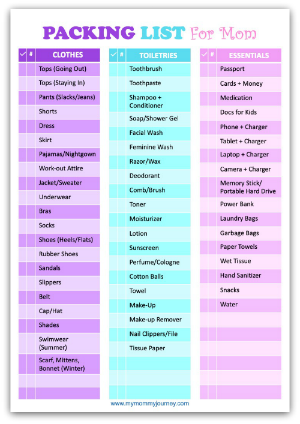 Does it take you hours to pack for your family travels? Do you still end up forgetting something important like your child's favorite toy, hubby's gadget chargers or your own toiletry kit? 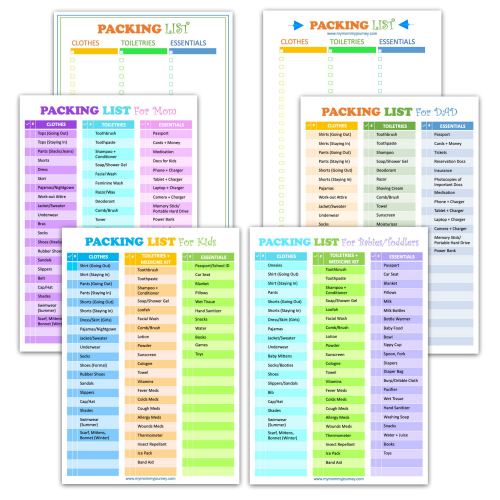 GET THIS PRINTABLE PACKING LIST FOR FREE! You will receive weekly newsletters about updates and helpful parenting resources. Your personal information will not be sold or shared. You can unsubscribe any time. Never forget to pack anything again! Print in color or black & white to save on ink. 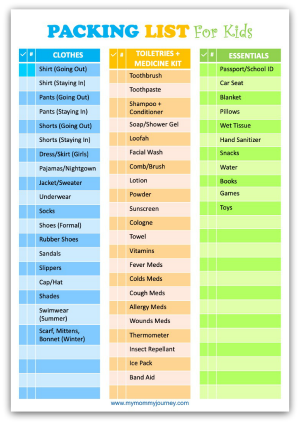 Use the filled-in list to help you not forget to pack any essential item per family member. 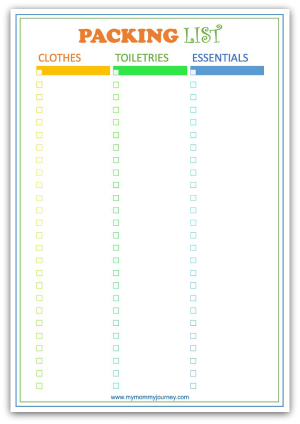 Use the blank spaces at the bottom of the list to fill in any item not covered in the filled-in list. 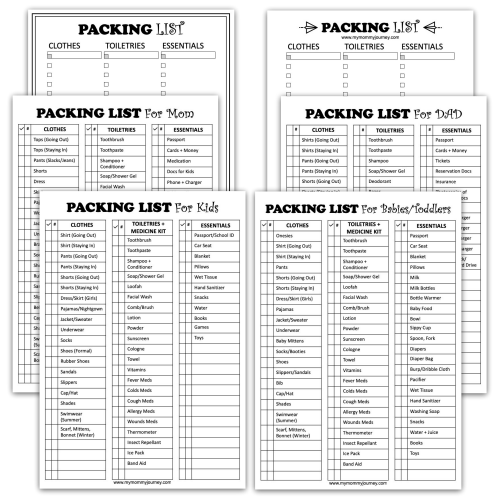 Use the blank packing list should you prefer to fill in your own items list. 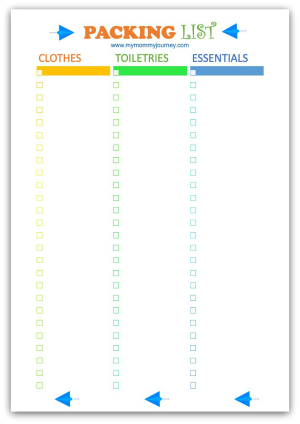 Just fill in the number of pieces per item on the list. Put a check mark beside each item that you already packed. 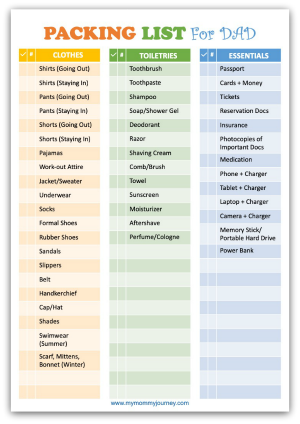 Get your FREE Family Travel Packing List! Printable download is on it's way to your INBOX. Watch out for our Welcome Email!